School has started and hopefully, all students had updated vaccinations before the schools opened their doors. If not, then those students who didn’t have up- to- date vaccinations, missed a day or two of school as most schools require students to be vaccinated. This requirement is in place to help prevent the spread of many diseases, which left unchecked, could turn into an epidemic. While most parents realize it is better to prevent diseases with vaccinations, there are a large number of parents who are worried about a number of vaccinations their children have to get and they are increasingly concerned about the potential dangers and side effects of the vaccinations. It is important for parents to get as much information regarding the pros and cons of vaccinations from their doctors. Once they have done this, they will be able to make an informed decision on whether to have their children immunized. There are two main types of vaccines. They are: Live vaccines and inactivated or dead vaccines. Live vaccines contain disease causing antigens that have been altered in such a way that weakens them so that they are no longer capable of causing the disease. The inactivated or dead vaccines contain microbes that have been treated with a chemical that prevents them from replicating or causing diseases, meaning that any kind of vaccine for children cannot produce diseases or their symptoms, but they can help the body in creating antibodies that prevent a particular disease. Parents need to know that while millions of children get vaccinated daily, a vaccine does not make it to market until it passes through a rigorous screening process consisting of multiple medical trials, and only when its safety is confirmed, does it make it to the market. Vaccinations provide immunity to childhood diseases through deliberate artificial stimulation of the body’s defenses. This is deemed safe for children and done without causing any major side effects. Vaccinations also help to protect the health of a community, especially of those who are not immunized. For example; infants who are less than a year old and cannot be given a measles vaccine, but who can be infected by the disease when they come in contact with a child or adult who has contracted measles and passes it onto the infant. Being vaccinated would prevent this from happening. While it may seem to parents that their children are being subjected to a lot of unnecessary vaccinations during the first two years after birth, they need to remember that the vaccines are helping to build up the child’s immune system by intentionally introducing new antigens into the body so the immune system can fight off the disease. They should also remember that the vaccination schedule conforms to the recommended schedule by the American Academy of Family Physicians or the American Academy of Pediatrics. 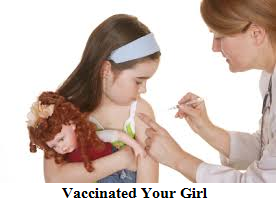 As with everything in life, there are always risks involved in vaccinations for children. The general side effects such as pain, redness, headaches, swelling, or a small lump at the injection site are common. These side effects do not generally require medical attention, however, if they persist for a long time, a physician should be consulted. Serious side effects such as an allergic reaction or seizures are rare, but a physician should be called immediately if a child experiences these symptoms. If a child does not have the vitality to mount an elimination reaction, (fever, swelling, skin rash) or should it be suppressed with drugs, then the cause of the reaction will be retained within the body’s tissues. In extreme cases, this retention can trigger or at least contribute to the development of illnesses such as juvenile diabetes, asthma, neurological disorders, leukemia and even cot deaths (SIDS)in susceptible infants. 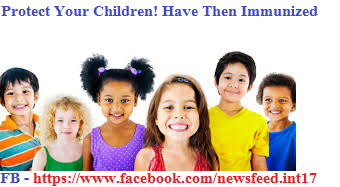 Most vaccinations for children are safe and do not bring about the above mentioned side effects. Parents should make an informed decision by weighing the pros and cons of vaccinating their children. They should remember that the side effects of the vaccines for children are less severe when they are compared to the symptoms of the diseases they prevent.